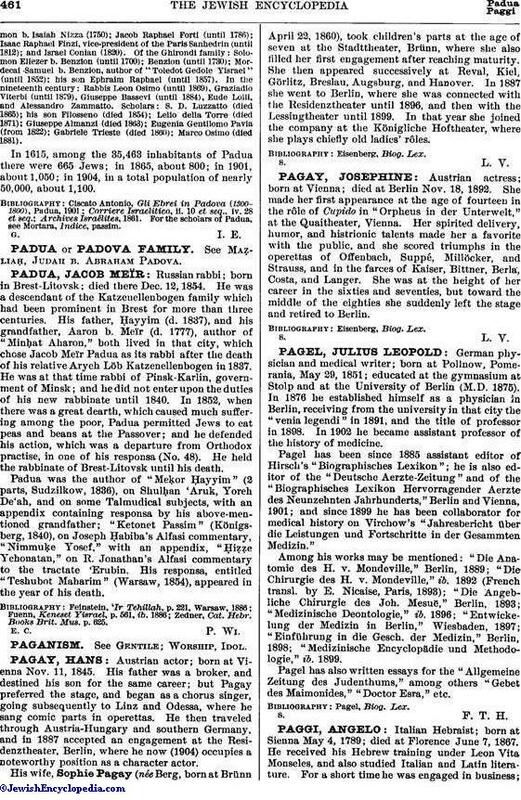 Italian Hebraist; born at Sienna May 4, 1789; died at Florence June 7, 1867. He received his Hebrew training under Leon Vita Monseles, and also studied Italian and Latin literature. For a short time he was engaged in business;but he soon abandoned it to open an educational in stitution, where he introduced a rational and logical method of teaching. He was principal of the Jewish school at Florence from 1836 to 1846, when failing health obliged him to retire, although he continued to write and teach in private. Among his pupils was Prof. Fausto Lasinio, with whom he translated the hymns of St. Ephraem from the Syriac. He also wrote "Compendio di Tutte le Dottrine Israelitiche"; "Grammatica Ebraica"; "Grammatica Caldaico-Rabbinica"; and he left several unpublished works: "Storia Giudaica dalla Creazione del Mondo ai Nostri Giorni"; "Grammatica Ebraica e Rabbinica Compendiata ad Uso delle Scuole"; "Dizionario Ebraico-Italiano"; "Dizionario Caldaico-Rabbinico-Italiano"; "Dizionario Italiano-Ebraico-Caldaico-Rabbinico"; "Dissertazione Critica Sopra una Leggenda Talmudica"; "Poesie Ebraiche"; "Autobiografia"; and "Scritti di Pedagogia e Morale." 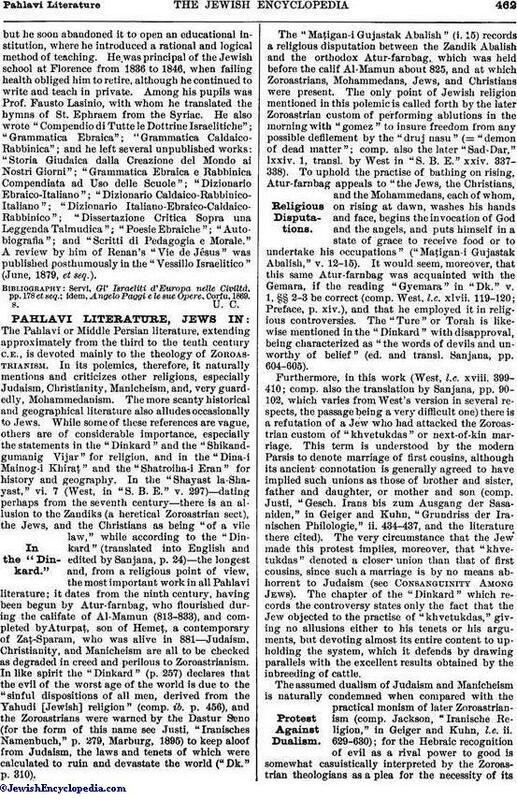 A review by him of Renan's "Vie de Jésus" was published posthumously in the "Vessillo Israelitico" (June, 1879, et seq.). idem, Angelo Paggi e le sue Opere, Corfu, 1869.